Millennials are inching their way into the workforce more and more, bringing in their set of expectations and needs, and pushing out those of their older counterparts. This will lead to a totally new workplace structure, and companies will need to readjust. Millennials love seeking new, bigger, more challenging opportunities. They want to test out different jobs, and in a variety of new locations. In a survey by FlexJobs in 2015, 54% of millennials reported they want a flexible or alternative schedule, and 85% would be happy telecommuting 100% of the time. This has lead to what people are calling “blended workforces“. These are organizations that have several of in-office 9-to-5ers, but equal amounts of contract and/or remote workers. In fact, some companies have gone entirely remote. Therefore, the challenge lies in keeping them engaged enough with their work to stay productive during the hours you pay them for.As a result, companies will need to rethink how they manage their people. This is why more and more HR professionals are turning to HR tech that helps them with recruitment, internal communications, and performance management. In 2017, organizations need to begin allotting more budget to these new practices in order to succeed in this new type of talent management. Besides millennials influencing the structure the workplace, in 2017, HR will need to change in different ways. HR departments will start to take on a more marketing role by focus on what people are calling “internal marketing.” This means creating a strong brand image that fosters “customer” (employee) loyalty by meeting their needs and offering a “product” that meets their expectations. This mindset serves to increase retention and engagement rates greatly. Some companies actually did away with their HR departments in 2016. 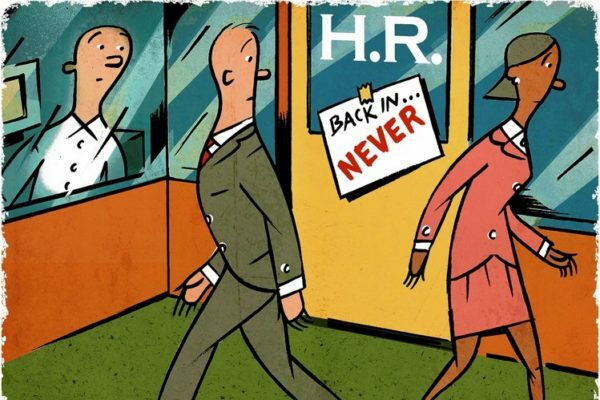 Many have started to outsource HR consulting, or reassigned responsibilities to new roles. These roles include “Chief Culture Officer”, “Director of People”, or “VP of Talent Acquisition & Talent Development.” This rebranding is because HR is being recognized as more of an integral part of businesses, as opposed to a support function. Employees have to stop being seen as a “resource,” but rather as valuable individuals that need to be respected and taken care of. Again, HR tech will help relieve some of the burden of this transition by putting more responsibility into the hands of the employees. Getting employee feedback won’t be restricted to annual 1-on-1s with HR, and recruiting will be made easier with the help of artificial intelligence technology. More and more companies are trying to hire for better “culture fit” by changing up their candidate experience. People are doing the “beer test” by taking out candidates for a beer after an interview to see if they’d actually like hanging out with them. Unfortunately, this leads recruiters to hiring people that are too much like them and can’t contribute anything new and unique. So in 2017, more companies will start hiring based on “culture add.” This means hiring candidates that will bring new perspectives, different ideas, and diversity to the workplace, and their personalities and skills don’t perfectly mirror those of everyone else in the company. Companies like Pandora started hiring this way in 2016, and have become champions in workplace diversity and innovation. And hey, maybe your culture isn’t all that great. Let 2017 mark the time for you to start hiring for culture add, and these people will help reshape your workplace and elevate your company’s success to a new level. 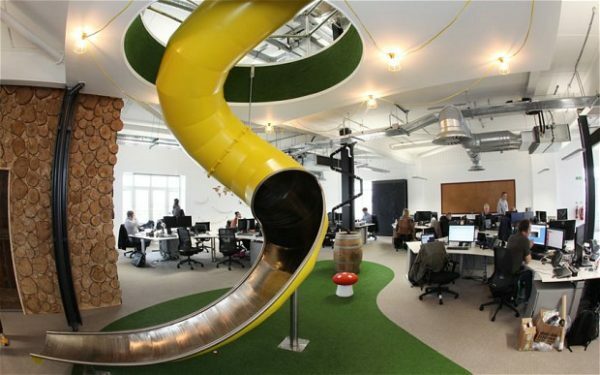 Ever since Google release images of the Googleplex, every company thinks a cool, fun office is the key to success. While having stellar perks have been shown to attract great talent, people eventually get bored of ping pong tables, free food, and in-office gyms. Now, I’d like to clarify that perks are different from benefits. Benefits include health care coverage, parental leave, wellness packages, etc. These are not superficial tactics that are meant to make employees “happy” at work, but methods to help employees manage the much-sought-after work-life balance. They serve to keep employees happy outside the office, while perks aim make them so obsessed with the office culture that they don’t have a life outside of it. Perks may keep them around, but won’t actually motivate them to perform. So companies are starting to realize that they – wait for it – actually need to make their employees like the work they’re doing. Shocking, right?This means that in 2017, HR will start to discard the term employee satisfaction, and focus more on employee engagement. What will that look like? A number of successful companies have been fostering engagement for years. The actual reason the Googleplex contributes to Google’s success is because it reflects the company’s level of transparency. Nobody has a set, closed office, and employees are encouraged to collaborate. Meanwhile, John Lewis empowers its employees by involving them in decisions and solutions. Virgin listens to its people, getting their feedback on most decisions. Find out what’s best to make your work culture inclusive so your employees stay engaged in 2017. 5. 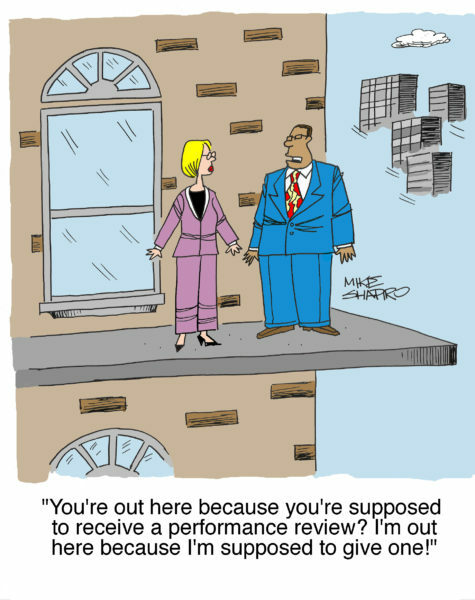 The End of Performance Reviews? All year we’ve been hearing about numerous companies, including Deloitte and Adobe, ditching performance reviews, and turning to HR tech to make feedback a continuous process. This helps employees learn their strengths and weaknesses, and adjust to make sure they are performing optimally. Putting the process in the hands of the employees, as opposed to being restricted to 1-on-1s with HR, will empower the employee and make them more engaged (see above!) with their work. Many people are skeptical of the utility of this change, because they think the initial excitement will fade over time. But in fact, those that keep providing feedback are the ones that actually help the company succeed. “Mediocre” workers will fade from workplaces, and companies will start acquiring higher-quality talent that constantly seek improvement. Make 2017 the year your company hops off the annual review train, and jumps on board with continuous feedback.